It really is a brilliant tool, particularly the global text search field, HTML syntax highlighting and, as shown in the image above, the resource load timeline. 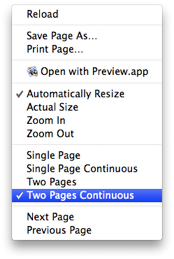 Finally, Apple has added automatic image resizing when a single image is loaded in a Safari window. Now, when an image is loaded into a Safari window that is too narrow/short to display the whole image, it is scaled down to fit and the mouse cursor changes to a ‘+’ magnifying glass. 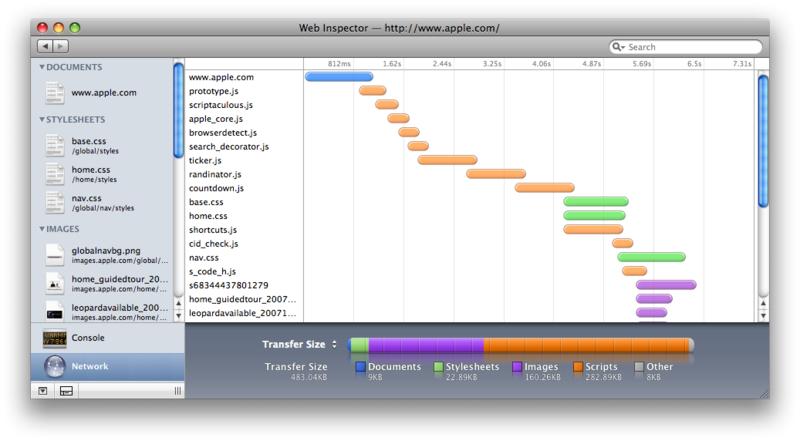 This entry was posted in Leopard, Safari. Bookmark the permalink.